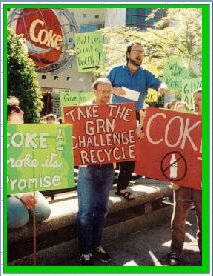 Representatives from seven ecopledge.com and Ivy League colleges demonstrate with GRRN’s Coke bottle in front of the New York Stock Exchange, March 2, 2000. Demonstration at the World of Coca-Cola in Atlanta, Georgia on April 7, 1997. The demonstration was organized by the GrassRoots Recycling Network and included community activists from 25 organizations in 13 states. Photograph reprinted with permission of Waste_News magazine. Plastic beverage container waste is a growing problem throughout the world. In the United States, plastic beverage container recycling rates have plummeted since 1994 while waste has more than doubled. Coca-Cola has created a plastic bottle waste crisis for the environment, recycling and taxpayers. 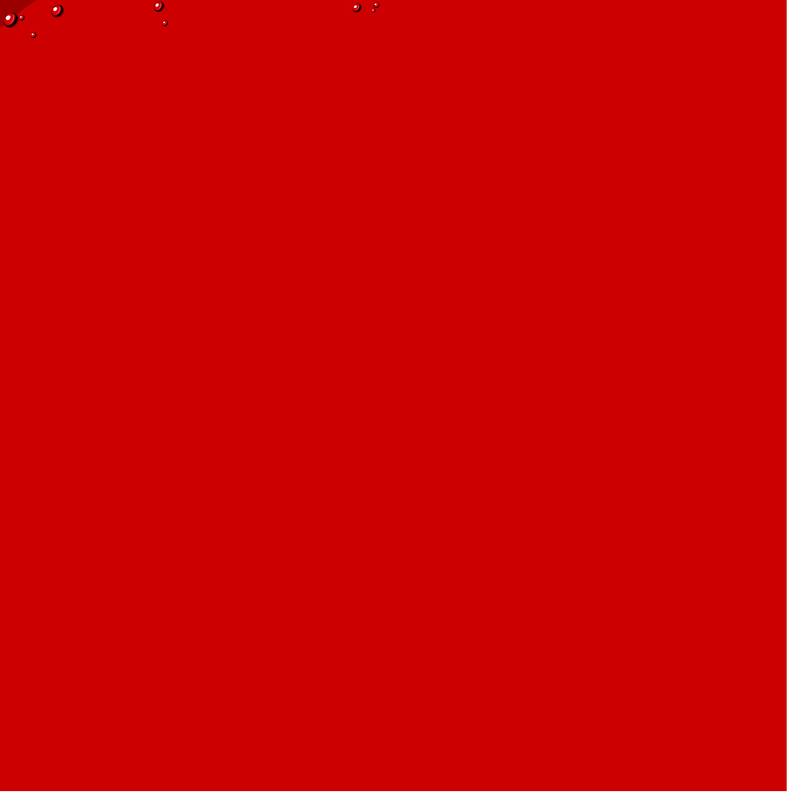 Join the tens of thousands of consumers, activists and students who are calling on Coke to Do the Real Thing! 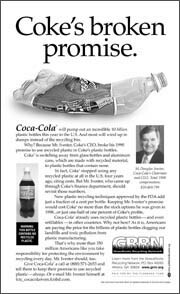 Demand that Coke work to increase recycling (collection) rate of used soda bottles by supporting container deposits, and to use significant quantities of recycled plastic in their bottles as new supplies become available - as they promised in 1990.